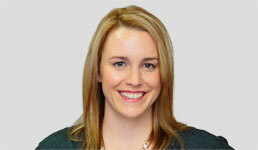 Andrea McGrew is the Chief Compliance Officer and Chief Legal Officer at USA Financial. USA Financial is a comprehensive financial services institution, focused on providing advisors with the tools required to make solid recommendations and to empower clients to make educated and informed financial decisions. For more information, go to www.usafinancial.com/pro. Commission-based advising in financial services is fading away – just 5.5% of registered investment firms with $100 million or more in assets under management still use commissions to charge clients. Instead, advisors are shifting to a fee-based model, which is quickly reshaping the industry. In fact, fee-based accounts nearly tripled from 2003 to 2013, up from $987 billion to $2.7 trillion, and fees now make up 46% of financial advisor revenue versus 45% in commissions. The dying trend of commission-based models can be easily attributed to the Department of Labor’s new fiduciary rule, the full implementation of which has been postponed until July 2019. Broadly applied, the new legislation would require more professionals to meet the ethical and legal guidelines that come with the intricate responsibilities of a fiduciary. Under the rule, just about anyone who works in financial services will be elevated to the status of fiduciary, including those currently working on commission, such as insurance agents and investment brokers. A fiduciary, by legal definition, is bound to put a client’s interests above their own. This means disclosing fee amounts, conflicts of interest and other pertinent details. Compliance with the new rule could create complications for advisors who are unprepared or lack guidance, which can be expensive and time-consuming. As a result, many advisors have already turned to fee-based or fee-only models, which are typically more straightforward. There’s an inherent conflict of interest embedded in the commission-payment structure, due to advisor compensation for selling particular products. By contrast, the fee structure tends to be more transparent. Fee arrangements are generally made upfront, and there’s less opportunity for hidden fees, which is why many clients and advisors feel more comfortable with the arrangement. In the new era of the fiduciary rule, this structure is better suited for mitigating conflicts that could arise as a result of breaching compliance regulations. Because of the natural conflict of interest between advisors and commission, another incentive for the shift toward fee-based models is the evolution of the current suitability standard. Instead of acting on a general idea of clients’ wishes to provide “suitable” services, advisors will now be legally obligated to act in clients’ best interests when providing recommendations or soliciting financial services, creating an even higher level of accountability. In transitioning to a fee structure, advisors remove any potential best interest conflicts that could result from promoting and selling a specific investment vehicle. Further, advisors have also moved toward fee models as a result of attempting to avoid extra regulatory steps, costs and disclosures. Under the fiduciary rule, advisors who wish to remain commission-based will need to use the Best Interest Contract Exemption, a contractual agreement whereby an advisor states he or she will act as a fiduciary and avoid misrepresentation of options. This invites a whole new set of compliance risks, which could come at high prices, deterring some firms that may have wished to remain commission-based. With such a decisive shift occurring it’s important to consider where the trend toward fee-based, rather than commission-based, services will go. For advisors wanting to make the shift or simply just thinking about it, having a solid transition plan in place for you and your firm can be the best preparation strategy. In creating the plan, you’ll need to consider a number of factors, like how the transition could impact finances. It’s important to keep in mind that there are significant cash flow differences between a commission-based model and a fee-based model. Lags in payments under a fee-based model may mean advisors will need to frequently plan ahead. Additionally, firms will need to contemplate how a shift in business models – or lack thereof – will affect staffing. As more practices make the switch to a fee-based fiduciary model, commission-based firms unwilling to evolve could possibly encounter talent retention problems, forcing them to consider innovative and costly ways to stay relevant and progressive. The fiduciary rule has spurred a growing movement toward a fee-based industry, evolving financial services as we know it. For clients, it will mean greater protection and more accountability. For advisors, it’s difficult to tell in our current complex landscape – but we’ll find out next summer.